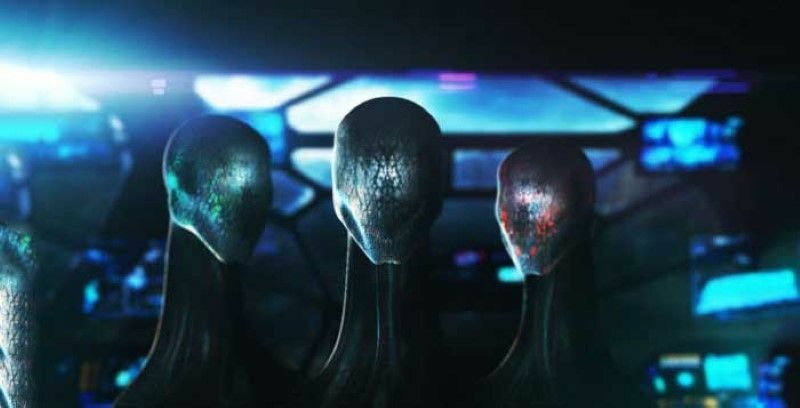 Home » Alien message embedded in our genetic code? Scientists hypothesize that a sign of intelligent extraterrestrials could reside within the human genetic code. Dr. Vladimir I. shCherbak, a mathematician at the al-Farabi Kazakh National University of Kazakhstan, and Maxim A. Makukov, an astrobiologist at Kazakhstan’s’s Fesenkov Astrophysical Institute, recently published a paper titled “The ‘Wow! signal’ of the terrestrial genetic code” in the planetary science journal Icarus. This title references the famous unidentified radio signal detected by seti (search for extraterrestrial intelligence) scientists in 1977. But rather than listening for extraterrestrial radio transmissions, these scientists considered the possibility of biological seti. It has been repeatedly proposed to expand the scope for SETI, and one of the suggested alternatives to radio is the biological media. Genomic dna is already used on Earth to store non-biological information. Though smaller in capacity, but stronger in noise immunity is the genetic code. The code is a flexible mapping between codons and amino acids, and this flexibility allows modifying the code artificially. But once fixed, the code might stay unchanged over cosmological timescales; in fact, it is the most durable construct known. Therefore it represents an exceptionally reliable storage for an intelligent signature, if that conforms to biological and thermodynamic requirements. As the actual scenario for the origin of terrestrial life is far from being settled, the proposal that it might have been seeded intentionally cannot be ruled out. A statistically strong intelligent-like “signal” in the genetic code is then a testable consequence of such scenario. These scientists assert that the genetic code appears to have been “invented outside the solar system already several billions years ago.” Discovery News points out that this notion endorses the idea of panspermia–life on Earth was seeded by life that originated elsewhere in the universe. By exploring the possibilities of biological SETI, these researchers are contemplating the typically religious notion of intelligent design, but from an extraterrestrial scientific standpoint.